To love baseball is to join in a decades-long conversation about numbers and what they mean. Numbers never lie, but context is paramount, and our attempts to put baseball’s numbers in context can be as lazy and ham-handed as the asterisk that for years accompanied Roger Maris’ 61, or as nuanced as the byzantine differences in two versions of the WAR statistic. Most debates about statistics are actually debates about context. Rarely are the numbers themselves in dispute as a matter of historical record. It’s our interpretation of them that fuels debate. 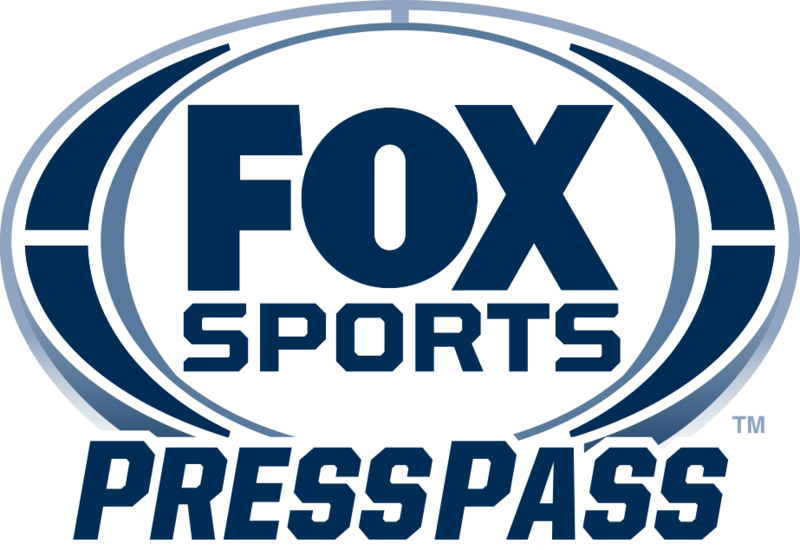 As a longtime television partner to Major League Baseball, we at FOX Sports also engage in a decades-long debate about baseball numbers and their meaning, but in our case the numbers are Nielsen television ratings. Here again, context is key, and differing points of view can paint sharply different pictures of the health of the game, as we see every October when World Series ratings are dissected by industry observers. So, now that the curtain has fallen on the 111th World Series and Kansas City celebrates its first championship in 30 years, we offer our view of the numbers and what they say about the state of baseball in 2015. The defining trend of media in our lifetime is fragmentation – the process by which the enormous audiences once generated by a small number of entertainment options have splintered over the years and have been redistributed across hundreds of TV networks and many thousands of digital destinations. Fragmentation once only referred to the migration of TV audiences from broadcast networks to cable, but the digital age has brought a kind of “microfragmentation,” as media content has become ever more individualized and on-demand. Increasingly, we are each a demographic of one. The evolution of mass media has made it very challenging to compare the impact of content across eras. It’s no easier to compare TV viewership across decades than it is to compare “Old Hoss” Radbourn’s league-best 73 complete games in 1884 to Jake Arrieta’s league-leading five complete games this season. To really make sense of these numbers we need to view them in the context of their time. One way that we’ve attempted to contextualize World Series ratings at FOX Sports has been to normalize the numbers by comparing each year’s figures to the top-rated non-sports programming of that television season. This year, for example, Kansas City’s five-game World Series win over New York averaged an 8.7 household rating nationally. Only two non-sports programs – CBS’s NCIS and The Big Bang Theory – have fared better this fall. How does that compare to viewership of the Fall Classic in earlier decades? In 1975 Cincinnati defeated Boston in a seven-game epic, still cited as one of the greatest World Series ever played. That World Series averaged a 28.7 rating and would have ranked No. 2 among primetime programs that season. The rating itself was over three times as high as this year’s series, but the rank of the series among primetime hits wasn’t much different. In 1985 Kansas City topped St. Louis in seven games, giving the Royals their first and, until this weekend, only world championship. That series averaged a 25.3 rating and would have ranked No. 3 in the primetime top 10. In 1995 Atlanta beat Cleveland in six games, averaged a 19.5 rating and would also have ranked No. 3 among primetime hits. In 2005 the Chicago White Sox swept the Houston Astros to earn their first title in 88 years. The four-game sweep clearly impacted viewership, as the series averaged an 11.1 rating and would have ranked ninth in prime time, a relatively low ranking for the World Series by historic standards. Consider the average of those four World Series played at 10-year intervals. On average those series lasted six games and would have ranked fourth among primetime entertainment in their respective years. This year’s series went five games and would rank third for the season-to-date. Everything and nothing has changed. The media landscape has been completely reinvented, and yet the status of the World Series among the most popular shows on television has remained remarkably stable. While the primetime appeal of the World Series has been a constant, the availability of regular season baseball on television has changed radically in recent decades, with most of the change coming in the form of greatly increased exposure on regional cable sports networks. Just in the 10 years from 2004 to 2014 the average number of games available on RSNs increased by +57% among FOX Sports’ 15 RSN clubs, to a whopping 149 games per team. That’s a striking figure for those of us who are old enough to remember when televised baseball meant NBC’s National Game of the Week and at best one or two games per week on a local over-the-air station. Factoring in national broadcast, national cable and local broadcast, most fans can watch their favorite team six nights a week, six months a year. Perhaps inevitably, the sharp rise in availability of home team MLB games has caused baseball fandom to become intensely localized. Our analysis of local MLB ratings has revealed that as much as 90-95% of all regular season baseball viewing in a given market is viewing of the local team. It’s sometimes said that baseball has become a “regional” sport, but this phrasing is unfair in implying that the game’s popularity is limited only to certain areas of the country. More accurately, MLB is a nationally strong sport in which every region of the country focuses its interest overwhelmingly on the local team. As baseball fandom has become more locally focused, the national television ratings for the World Series have become, frankly, less useful as an indicator of the general health of the game. This year, ratings for World Series Games 1 through 5 increased by +21% over the comparable games last year, and all of us at FOX Sports are pleased with the strong numbers, but does anyone really believe that there are 21% more baseball fans in America than there were a year ago? Or 24% fewer fans than there were in 2009 when the Yankees last played in the World Series? World Series ratings fluctuate annually based on factors including the perceived quality of the matchup, the length of the series and the scores of the games, and those variations make the World Series ratings an unreliable guide. The more useful metrics are those rooted in a broader sample of local fan behavior, such as RSN ratings (10 MLB clubs rank No. 1 in prime time in their markets during the regular season) or game attendance (the last 10 seasons of Major League Baseball rank as the 10 strongest seasons ever for ticket sales). The more localized statistics make it abundantly clear that the connection between each MLB team and its home market is powerful and enduring. Once the game is viewed through this lens, each World Series becomes not only a championship event of interest to sports fans nationally, but also a once-in-a-generation expression of the intense bond that connects team to city and fan to fan. As a fan of the game for over three decades, it’s a special privilege for me to spend October experiencing the World Series firsthand and to see how the bond between team and fans is revealed in memorable ways each year. Last week at Citi Field it was hearing tens of thousands of boisterous New Yorkers serenading their Mets with Billy Joel’s “Piano Man” as the singer, himself a native son, looked on and beamed. More poignantly, two years ago it was following hundreds of triumphant Red Sox fans in a cathartic, impromptu parade from Fenway Park to the site of that year’s Boston Marathon bombing. To see these moments firsthand is to understand that passionate localism is hardly an obstacle to the continued success of baseball. In truth, it’s the game’s greatest source of strength. Numbers never lie, but context is essential. Viewed in context, we believe the numbers show that baseball is stronger than ever, that the World Series remains powerful national programming, and that intense localism has become baseball’s greatest asset. As another season ends and the game, in Bart Giamatti’s memorable phrasing, “stops and leaves you to face the fall alone,” all of us at FOX Sports congratulate the Royals and the people of Kansas City on a well-earned championship. We look ahead to the promise of another spring, coming soon to a ballpark near you. About the author: Michael Mulvihill is Senior Vice President, Programming, Research & Content Strategy for FOX Sports. He is a lifelong fan of the Pittsburgh Pirates. 21CF Chats: Jonty Whitehead, Executive Producer of Soccer for FOX Sports, on How to Tailor Soccer Coverage & Win New Fans in the U.S.